In many cultures, there is a special word used to describe a person with bold courage. For example, in Yiddish the word hutzpah is often used to describe the kind of bold courage it might take for a person to stand up and break the rules in order to save someone else. But hutzpah alone is usually not enough. You might have all the hutzpah in the world, but if you can't think of the right thing to do, hutzpah won't help. Sometimes a good dinner can help you think of something. For example, the person I am about to serve this pastrami sandwich to has hutzpah, but that's not enough because he hasn't thought of something. However, if he understands the message I have hidden in the garnish, he'll know to lift the top slice of rye bread and read what's been written in the mustard before taking his first bite. That could help him think of something along the lines of unlocking the pantry door and removing the chef's leg irons so she can escape. Hector didn't have hutzpah but he did have huevos, because Mexican food was his specialty. 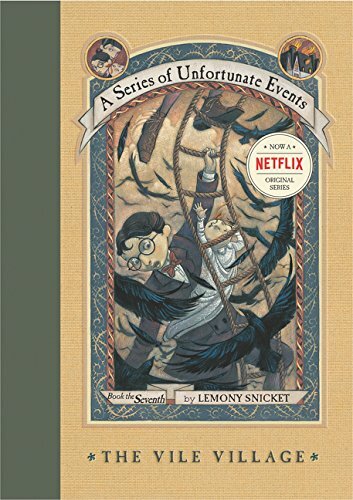 So when he served Huevos Rancheros to Violet, Klaus and Sunny Baudelaire, it did in fact help the Baudelaires think of something. Although by then it was too late. It takes a village to raise a child, and it takes hutzpah to plan a jailbreak. But I still have many unanswered questions surrounding the tragic occurrences at VFD, such as: What do people do for fun in a town with no mechanical devices, books, or recreational biting? Where did Mr. and Mrs. Poe stay during their visit? And the biggest question of all: why did Hector include potatoes in his Huevos Rancheros? Was this some sort of secret code? Or a delicious innovation passed down from his mother? My research continues. In the meantime, please post Hector's recipe for Salsa de Molcajete along with his recipe for Huevos Rancheros, so they might help someone to think of something.